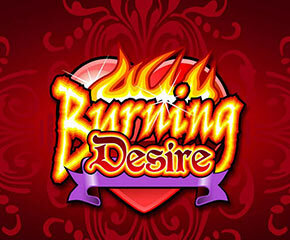 Burning Desire is a slot game that has recently been released by Microgaming with a romantic theme. It has some great features that are unique to the game. The free spins feature will be the one that you will be looking forward to in this slot as it promises to offer you a great payout. If you are a risk-lover, you might as well choose the gamble feature to multiply your winnings instantly. This slot is laid on 5×3 reels. The wild symbol feature present here is represented by the logo of the game. It features only on the second and fourth reels. All of the symbols are related to desire and romance. The other symbols include a red rose, a shiny diamond, a wedding bell, signature flaming heart, and the Burning Desire gold coin. Whenever there are three or more gold coin symbols on the reels, it will immediately give the player fifteen free spins. The game also has some brilliant sound effects and graphics. Another difference is that the key slot does not have any paylines as other slot games have. This slots game has 243 paylines across five reels. You can play with real or fake money depending on how big you want to bet. You can bet from £0.25 to £250 with the winning jackpot being 90,000 coins. The background is fairly ambiguous but attractive nonetheless. The Gold coin is the bonus symbol while playing Burning Desire and has a multiplier feature if you win the symbol. Depending on how many gold coins you receive you will be given a multiplier to match. With three gold coins, you will be granted a multiplier of 2x or with five gold coins you will earn a multiplier of 100x. This will immediately help you increase your earning by at least double or more. There is also a gambling game called Double or Nothing. The name says it all, where you can lose all your winnings or double them. This works by receiving a winning combination on a payline and then guessing the colour of a random playing card. 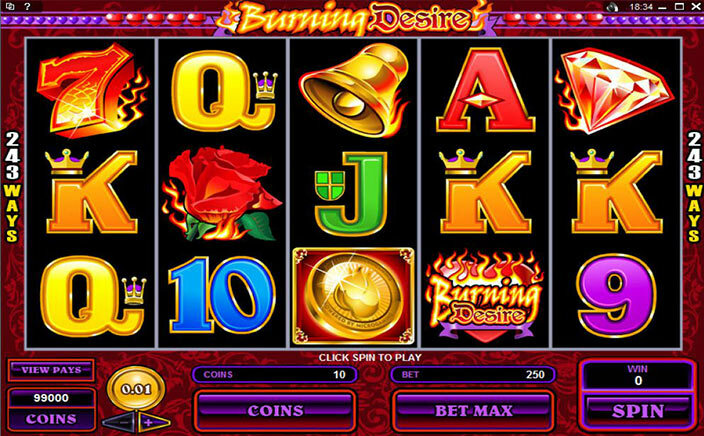 Burning Desire slot game presents itself as an intriguing play. It allows users to enjoy some unique features that add to the excitement of the game. The slot game’s overall theme of love and passion makes for a great gameplay.